It's summer and summer means bbq, corn on the cob, baked beans, pasta and potato salads... and just general yumminess. As much as I hate the heat, I do love the food! It just doesn't feel right to try eating these things in the dead of winter. Plus, it's really hard finding good veggies during the off season! Dang corn only growing during nice weather! There is nothing more delicious than fresh corn on the cob or tomato slices... dang it, I'm drooling now. I'd better give you this recipe! 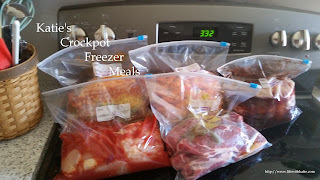 Place all of your ingredients into a gallon size freezer bag. Feel free to add more onion if it's your thing! 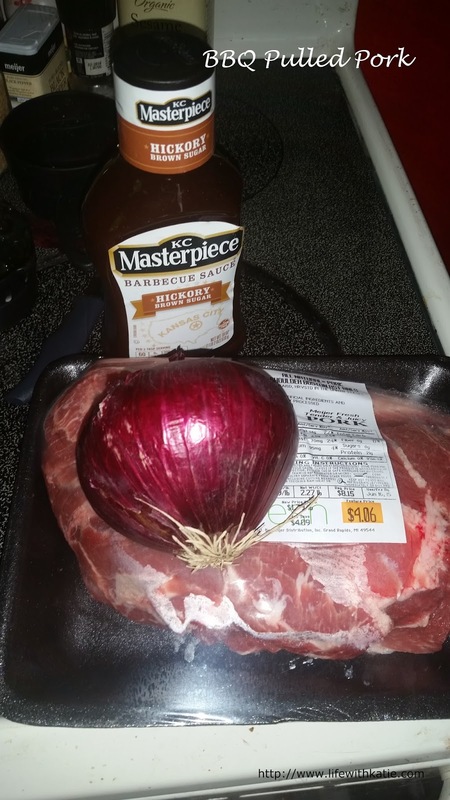 My boys aren't sold on onion so I keep the amount down. Squeeze out excess air, seal, and freeze. 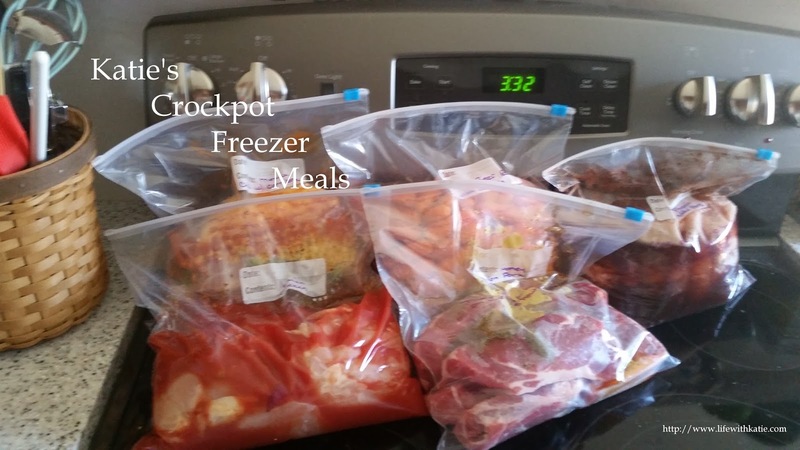 Thaw and place into crockpot. Add 1/2 cup of water. Cook on low 6-8 hours. Shred meat and add more bqq sauce, if desired. Serve on buns.